Hometyre are really pleased to announce further coverage expansion within the UK. We now offer our full range of services for motorists across the South Manchester area - taking in Altrincham, Macclesfield, Stockport, Glossop, Alderley Edge and surrounding areas. New customers in the area now have access to the only mobile tyre service offering: to-the-minute appointments, new tyre replacement up to 24" including Run Flat options, on site wheel alignment, locking wheel nut removal service, puncture repairs, Tyron band fitting and full Tyre Pressure Monitoring System repair and replacement. 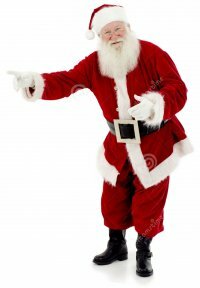 We'd all like to wish our customers from across the UK a very Happy Christmas and safe holiday period. While there are of course many other things to think about before the 'big' day and thereafter, please spare a thought for your transport. Loading up the car with kids and presents to visit loved ones will put strain on poorly maintained tyres and could give rise to some complications. Check your pressures (don't rely on the car telling you there's a problem - it doesn't always work like that!) and make sure you have good tread depth available. At this time of year, you need a good 3mm available! If you need any help, we're here until 12.30pm on Saturday, 24th. *We do not have full UK fitting coverage during the holiday period due to technician annual leave. Please call for availability in your area. 1 in 10 UK cars have never checked their tyre pressure and at least half of drivers surveyed are unaware of the legal limits for tyre tread on their vehicle has been revealed by a new study by Hankook Tyres, furthermore despite it being recommended to check your tyre pressure every week, 1 in 5 drivers in the UK are only checking their tyre pressure every 6 months. The survey delved into driver;s awareness surrounding tyre safety with the poll and found 70% of drivers not changing the tyres on their vehicle until there is a problem or they are advised to, 40% said that tyres are most important to maintain on a car. With winter now upon us, the research looked into driving in wintry conditions with a massive three quarters of drivers not confident driving in wintry conditions and less than 10% of drivers, which means they could be putting themselves and other road users at risk by under-estimating the distance. "The number of reported casualties resulting from tyre-related incidents over the last 5 years is 5.677 of with 989 people were killed or seriously injured. Where casualties arise from an accident caused by a vehicle defect, tyres are the single largest contributory factor over the last five reported years, accounting for 36% of the total. 2.2 million cars annually fail their MOT due to tyre-related defects and with the weather getting colder and wintry conditions soon to arrive, it's more important than ever for drivers to have better awareness when it comes to their vehicles and tyres." Stephen Marsh, retail development manager at Hankook commented. There are some simple checks you can do to your own tyres to make sure they are safe. Within the grooves of the tread are tread depth indicators (little square rectangles) which, to ensure you remain legal, act as a guide by indication when the tread on the tyre reaches 2mm by sitting flush with the top of your tread at that critical point. However this should not be your only point of reference when completing your inspection, it is not uncommon for the tyre to have sufficient tread depth across the centre but for the outer or inner 'shoulder' of the tyre to be completely worn through, this situation can and will seriously compromise your tyres' ability to displace water and can lead to loss of control in wet conditions. Check the tread over the complete width of the tyre. The 20p piece check is one that is commonly recommended as a good guide. To do this simply insert the edge of a 20p coin into the tread grooves and use the border as a guide of tread depth. The border of the coin that contains the inscription is 3mm, if any part of the border can be seen above the groove then your tyre is over 78% worn and it's performance is significantly reduced and replacement should be considered. In addition complete a visual check of the general condition of the rubber both across the tread and the sidewall. Check for cracks, tears, rips, bulges and objects embedded in the tyre. Say NO to part worn tyres! Part worn tyres may seem like an attractive cheaper idea than buying new tyres when it comes to having to replace them, but before you go for those cheap used tyres, ask yourself if these tyres are road safe why are they not still on the vehicle? The answer is they are most probably not road safe, statistics show 98% of part worn tyres are sold illegally. Tyres are not a luxury item that people would just replace as they fancied some new ones. There are many reason they would have been replaced such as uneven wear, age, hit a kerb or pothole and it could look fine from the outside but could be structurally unstable and when driven on there is a high risk of blowout. Majority of part worn tyres are stored exposed to the elements which damage them even more. The fact is you simply do not know the history of that tyre, but what you do know is someone would not get rid of a perfectly good safe tyre. As well as the safety issues with part worn tyres, consider that a part worn tyre will not have all of its tread compared to a new tyre, so you will not be getting the full use of the tyre meaning you will be having to replace them more which means the initial saving will not be worth it. Stefan Hay, Chief Executive of the NTDA, said: "Investigations have highlighted the woeful - and frankly dangerous - current status of Britain's part worn tyre market. Whenever such operations are undertaken, the majority of retailers investigated are proven to be selling illegal products and have little or no expertise. When the product in question plays a vital role in the safety of drivers, passengers and all road users, you have to ask in how many other industries that would be acceptable? "In the absence of stricter enforcement, and a lack of willingness among part worn dealers to clean up their industry, the NTDA will continue to champion a complete ban on the sale of part worn tyres." Hometyre stock a good range of brand new budget, mid range or premium tyres at a competitive price, and able to fit them at a time and place that suits you. Don't risk part worn tyres! It's better to buy new and not part worn tyres. Goodyear Vector 4 Seasons Gen-2 has taken home the Prestigious Auto Express Tyre Test Title. Goodyear tyre performed best overall in the number of disciplines that were tested including wet, dry and snow conditions, rolling resistance and cabin noise. The Vector 4 Seasons performed exceptionally well in the disciplines, receiving 1st in wet braking, wet handling, snow handling and cabin noise, as well as getting 2nd in snow braking, straight aqua and rolling resistance. In the wet disciplines braking test Goodyear shone stopping a massive 2 meters ahead of the 2nd place Nokian tyre. Nexen have announced they will be supplying OE Tyres for the Porsche Cayenne. They will be supplying the Porsche Cayenne with the N'FERA RU1 225/55R18 109Y XL, this will be the first time Nexen has supplied OE tyres to any of the Porsche car models. N'FERA RU1 has unparalleled cornering stability and sports handling for high speed driving. In the EU Labelling it has received Grade A for its excellent wet grip. a 3D-Nano Grip technology that maximises the braking capability of a sports vehicle at high speed is applied also with the Fast Reversible Technology which optimises the steering response and durability. "We are thrilled to supply OE tyres for Porsche for the first time," said Travis Kang, CEO of Nexen Tyre. "As Porsche is a representative luxury carmaker with prestigious design and performance, this approval for the Porsche Cayenne proves the superior quality and advanced-technology of our products." Nexen also have plans to expand supplies of OE tyres to other Porsche car models. Don't Chance it - Check it! - A Message for National Tyre Safety Month October 2016. DON'T CHANCE IT - CHECK IT! 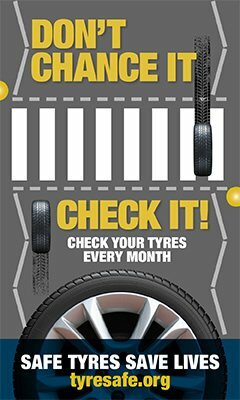 That's the message being given to motorists in support of this years National Tyre Safety month throughout October. And we're fully behind the drive to focus everyone's attention on the forthcoming six months potential for cold weather and treacherous conditions. Even now in early October we can experience bitter cold mornings on the work and school runs. It's at these times where so frequently bumps and more heavy collisions can occur due to sleepy eyes, insufficiently clear screens etc. Low treaded tyres on slippy surfaces amplify the potential for damage to vehicles and persons alike. We appreciate that nobody really likes to replace tyres - they're a necessary evil - but did you ever stop to think about how often your tyres actually save your life? They're massively overlooked BECAUSE they continue to perform. That performance window can shut quite suddenly though. Many motorists will have lived to regret pushing their tyres beyond the limit. Others won't have even had that chance to regret. We are tyre retailers, so of course we are always happiest to be busy replacing and repairing, but having all seen some of the real horror stories out there, we're also passionate about the safety of our clients and other road users alike. Hometyre are holding tyre safety awareness days at national supermarket chains across the UK during October in support of Tyre Safety Month. 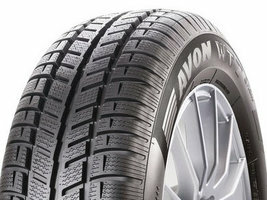 Avon has launched two new winter tyres WV7 and WT7. The Avon WV7 will be available in 15 to 19 inch sizes and is H and V speed rated. This is a performance winter tyre with increased sipe density which improves traction in wet weather, snow, ice and slush. The WV7 features backward-facing centre groove to improve traction and forward-facing shoulder grooves and V- slots to enhance braking. The Avon WV7 is marked with the three-peak mountain snowflake symbol 'Severe Snow Conditions'. The WT7 has been performance tested in Alpine winter conditions and is a premium winter tyre. This will be available in 13 to 16 inch sizes in a T speed rated. The WT7 also meets the 'severe snow' rating. Avon has also introduced a new winter tyre for vans, the WM Van Tyre has been developed specially for medium-sized vans, due to its high silica content tread formulation it has been designed to provide excellent traction in all winter conditions. "Despite the high temperatures we are experiencing now and winter seeming a long way off, it's important to ensure our latest winter tyres are available to distributors and customers in plenty of time before the harsh winter months are upon us," said Jeff Schumaker, Managing Director - Cooper Europe who has responsibilities for the Avon Tyre brand. "It's been an exciting year for Avon Tyres, in terms of product development and the resulting new tyre launches across both our summer and winter ranges. With the Avon ZV7 and ZX7 introduced to the product portfolio in April, and now with the WV7 and WT7 launching onto the market, we have an updated core product offering available to our customers." Hometyre supply and fit the full range of Avon Tyres for car, 4x4, and light commercial vehicles. Call today for more information. Huge congratulations to Mark Watson from our West Sussex area for winning a prestigious award with the UK's largest independent consumer organisation Which?. Mark and wife Lyne have won Trader of the Month by the consumer watchdog's Trusted Traders scheme. 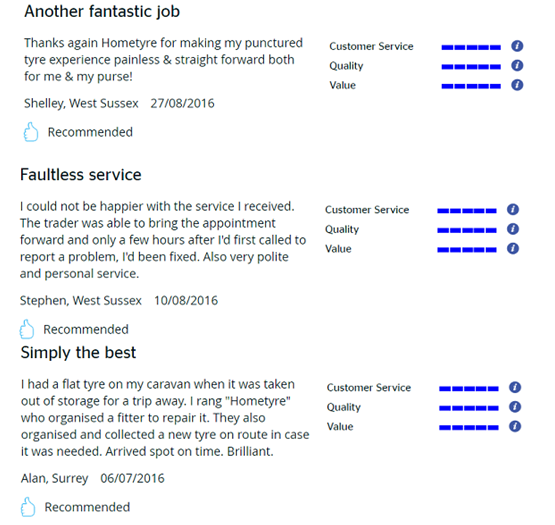 Hometyre is the first Tyre Company in the UK to be awarded this accolade, and we couldn't be prouder of them for winning this title. Mark has been with us since 2009, and has been chosen for the title of Which? Trusted Trader of the month due to his high levels of customer service which can be seen from the 190 plus customer reviews, nearly all of them five-star rated. "We're always striving to give our customers the best service possible and to win this Trader of the Month title is a great endorsement of all the hard work we've put into the business over the last seven to eight years," said Mark. "Customers choose us because we go that little bit further. We don't just deal with the problem that we've been called out to fix. We'll check the pressures and tread depths of all the tyres on their vehicle - including the spare - and do those extra little things to ensure their vehicle is safe." Yokohama is ensuring the team make a safe start to their 2016/17 Premier League campaign with the team bus being fitted with Yokohama Tyres. The fitment of these tyres on the team's bus is yet another initiative in the partnership which saw the company become the official shirt partner of the club last year. Yokohama has already fitted its high-performance, premium car tyres to a number of the Chelsea FC teams own cars. "Equipping the Chelsea FC team bus with Yokohama tyres is an important step in our partnership with the club." "it's imperative that the team have a safe and comfortable journey, so it's pleasing to know that Yokohama tyres are playing a key role in helping to achieve this." Comments David Seward, managing director Yokohama HPT. Michelin summer car tyres have been shown to last an average of nearly 5,000 miles longer than the average mileage for a group of well-known competitor brands. The data was collected from extensive trials carried out by the DEKRA Automobile Test Centre in Germany over a two year period, involving Michelin Energy Saver +, Primacy 3, CrossClimate, Pilot Sport 4 and Latitude Sport 3 tyres, other brands tested during the trial were Goodyear, Continental, Dunlop, Bridgestone, Nokian, Pirelli, Hankook and Vredestein. The results from DEKRA shows a set of Michelin tyres travelled an average of 4,977 miles further before they needed to be replaced. Michelin's Head of Fleet Andy Fern says "This performance advantage is equivalent to more than three months of additional motoring for a company vehicle before needing to change tyres. That represents a very real saving in expenditure and downtime." Last Bank Holiday of Summer 2016 for England, Wales & NI. Enjoy the short break this weekend folks. We hope you will already have prepared your vehicles for any trips - short or long in distance. If not, we have some availability across areas of the UK still so please do call in with your requests. We're open to take bookings for next week tomorrow morning (Saturday) until 12.30pm then reopen Tuesday morning from 0830. Be safe, and have a great weekend. Goodyear has announced a fitment on the new Renault Scenic. Renault will fit the latest tyre innovation by Goodyear, a Tall and Narrow, 195/55R20 95H XL EfficentGrip Performance and 195/55R20 95H XL Goodyear Vector 4Seasons Gen-2 to the new Scenic. Roland Close, Director Tyre Technology OE Consumer EMEA for Goodyear said "To convince Renault about our ability to create such cutting edge tyres, we provided insights from our Fundamental Research Group. By doing this we were able to provide test tyres at the early stages of our discussion with Renault which aided them in their development process." Roland Close continues "Renault engineers and designers were convinced after initial tests that the Tall and Narrow tyres would assist them in achieving their tough targets in ultra-low rolling resistance performance whilst maintaining performance in other test criteria." The Tall and Narrow concept provides the technology needed to keep rolling resistance at lower levels than ever before which assists manufacturers to meet the CO2 emissions targets. With these tyres having a narrow section width the Scenic's contact patch becomes long and narrow, this provides better aerodynamics which equals better aquaplaning resistance as well as lower fuel consumption and lower noise. Goodyear will be the only supplier in this tyre size in the all season tyre pattern and will also offer a winter tyre pattern. The Pilot Sport 4 was up against eight competitor tyres. "There's a liveliness to the steering that makes most rivals seem soft and spongy." Testers from the publication have said. "It started in the breaking tests, making rivals look ordinary in the wet. There was also a clear margin in the dry." They added. The technologies incorporated into the Pilot Sport 4 were developed with Michelin's involvement in the world's first electric single-seater race series Formula E.
"The Michelin Pilot Sport 4 is testament to our track to street philosophy. We got involved with Formula E at its inception because we knew we would learn so much in a very short space of time. The series uses a tyre size that relates to on-the-road cars and it takes place on real roads with potholes rough surfaces, grids, surface paint and everything else motorists are faced with every day." said Rebeca Nieto, Michelin's Commercial Director for Car, Van and 4 x 4 in the UK and Ireland, she also added "Not only that, the tyre had to be able to handle high performance in both the wet and the dry, it has to be extremely durable and it has to be very efficient to prolong battery life. We're very proud that the exceptional performance of the Michelin Pilot Sport 4 has been recognised by the Auto Express testers." The South Korea-based tyre manufacturer is set to become the Club's Official Tyre Partner from the start of the 2016/2017 football season, for an initial two years. Kumho's presence at the Club's matches will support the manufacturer with growing the brand and business in the UK. Kumho will also become presenting partner of the Club's will-established match day player mascot programme to develop a tailored community initiative with Tottenham Hotspur's award-winning Foundation to help further communicate the brand's key tyre safety messaging. 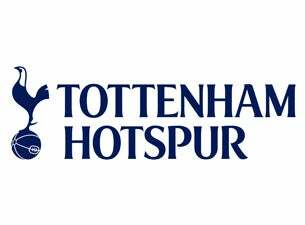 Daniel Levy, Chairman or Tottenham Hotspur, said "We are delighted to announce this partnership with Kumho Tyre. We look forward to collaborating with the company on its brand and business objectives both here in the UK and globally in its key markets. We also greatly welcome Kumho's enthusiasm to support and work with our Foundation." Hometyre supply and fit the full range of Kumho tyres for car, 4x4, and light commercial vehicles. Call today for more information. Nexen have announced that they are 4th out of 12 tyre brands in the Passenger Car segment of the 2016 J.D. Power Original Equipment Tyre Customer Satisfaction Study. Nexen have said "This study's results showcase the remarkable growth of the Nexen Tyre." The company also added "Through continuous investments in R&D, Nexen Tyre will continue to improve product quality and technology in order to increase global customer satisfaction and become a top global player amongst tyre manufacturers." The tyre satisfaction factors for this study consist of 'Tyre Appearance', 'Tyre Ride', 'Tyre Wear' and 'Tyre Traction and Handling'. Nexen have seen a significant rise in the 'Tyre Wear' factor with an increased 82 points since the 2015 study. Customers consider the 'Tyre Wear' factor to be the most important out of all the satisfaction factors, which is what has led to the improvement for the company in the customer satisfaction study this year. Bridgestone have announced further contracts to supply tyres to the BMW 7 Series and X1. Bridgestone's sales and marketing director Farrell Dolan said "Bridgestone and BMW group share the same vision of performance, innovation and sustainable mobility. 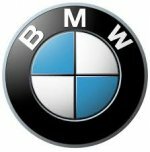 We are very proud to be able to extend this partnership further with two new contracts across the BMW Group range." The BMW 7 Series saloon is equipped with six tyre size options of the Bridgestone Potenza S001 UHP sport, and all come as standard with Run Flat Technology. Bridgestone's Potenza S001 is engineered for high-speed performance, delivering impeccable precision response and wet control for powerful cars. The selected winter BMW fitment tyres include the Blizzak LM001 Run Flat in two sizes, and LM001 standard on the smaller 60 series size, which was awarded the highest test rating from ADAC, German Automobile Club. The latest BMW X1 model is also being supplied with Bridgestone's flagship premium touring tyre, Turanza T001 which will have a choice of three sizes in run-flat and three standard. With their sights set firmly into the future, Bridgestone are also proud to have been selected as the exclusive tyre developer for the BMW I all-electric series of vehicles. Hometyre supply and fit the full range of Bridgestone tyres for car, 4x4, electric, hybrid and light commercial vehicles. Call today for more information. No, not in the UK! So after our very mini heatwave with temperatures soaring to dizzying 32C heights, spare a thought for the citizens of Phalodi in India who really felt the heat this year. Back in May, temperatures soared to a record breaking 51C - so hot in fact that the road surfaces in the town all started to melt! No traction problems for motorists on that day - although we wouldn't fancy removing all the tarmac from the the tyres afterwards!